Henry Hawkins may be better known for his landscape and genre paintings but this engaging work demonstrates that he was also an accomplished portrait painter. He has also set his sitter within a finely detailed landscape with a view of trees and the hint of a lake. 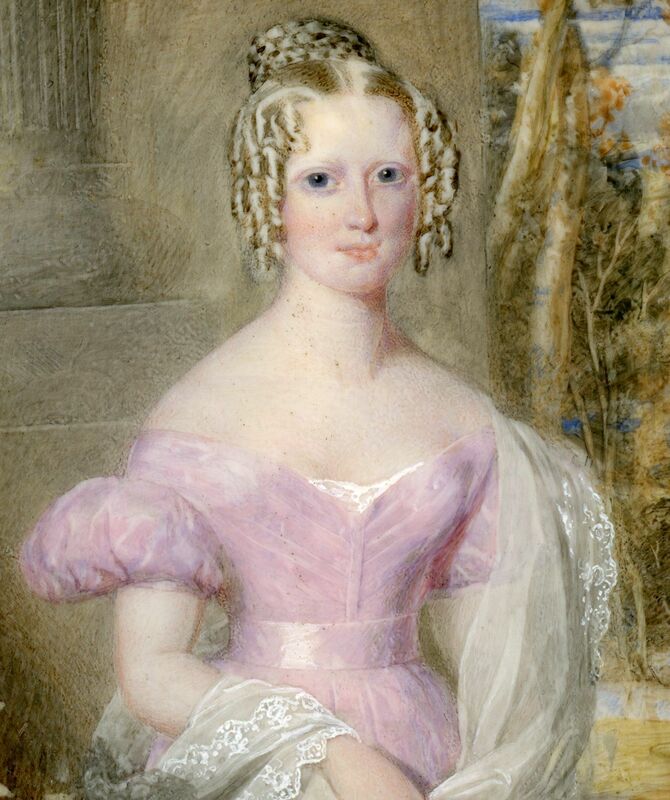 The young lady herself is richly dressed in a pretty mauve gown with fashionably puffed sleeves and a pleated bodice. 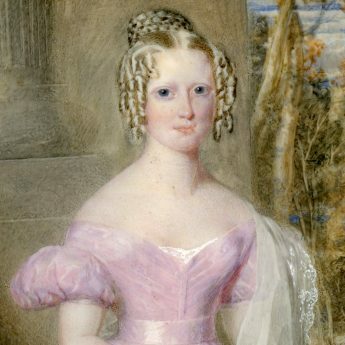 A diaphanous lace wrap lies over her arms and her blonde hair is arranged in a plaited knot with ringlets framing her face. Signed bottom right ‘H. 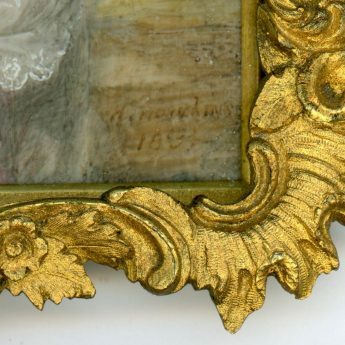 Hawkins / 1834’, the portrait is presented in the original brass frame decorated with flowers and enclosed on the reverse. 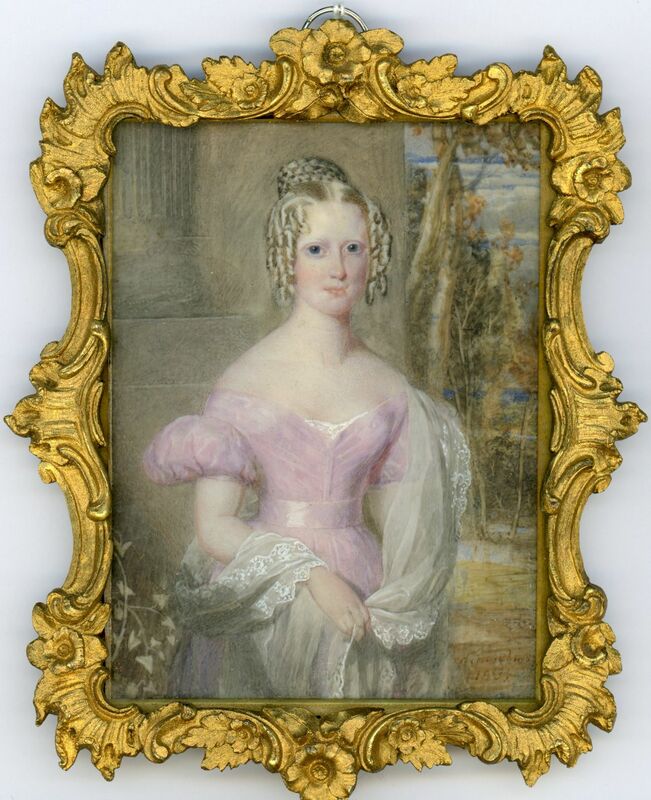 Henry Hawkins RA entered the Royal Academy Schools in 1821 at the age of 25. He exhibited at the RA, the British Institution and the Society of British Artists between 1822 and 1880. 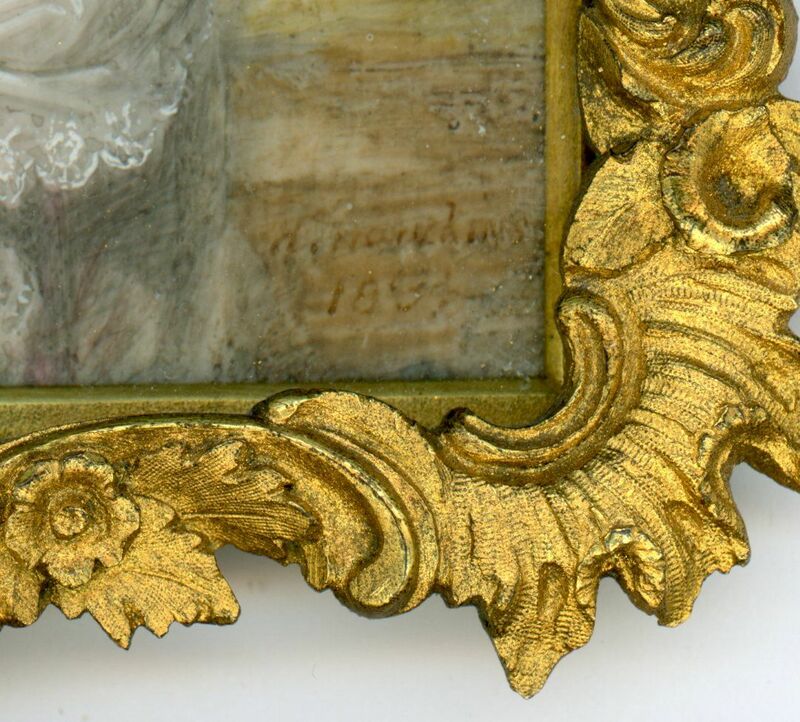 Portrait miniatures by him are rarely seen. Size: framed, 165 x 136mm (6½ x 5½") max.